Wole Soyinka is a Nigerian playwright, author, poet, teacher, and political activist. He is the first African recipient of the Nobel Peace Prize for Literature in 1986. His extensive insights on political matters in his home country Nigeria has garnered him accolades and praise over the years. Here are some interesting things about him. Akinwande Oluwole Babatunde Soyinka was born on the 13th of July, 1934 at Abeokuta, near Ibadan in western Nigeria. Wole’s father, Samuel Ayodele Soyinka, was a prominent Anglican minister and headmaster, while his mother, Grace Eniola Soyinka, was a shopkeeper and local activist. As a child, he lived in an Anglican mission compound, learning the Christian teachings of his parents, as well as the Yoruba spiritualism and tribal customs of his grandfather. He attended Government College in Ibadan before moving to England to continue his education at the University of Leeds. Soyinka graduated with a bachelor’s degree in English literature in 1958 and the university awarded him an honorary doctorate in 1972. During his time in England, he was a dramaturgist at the Royal Court Theatre in London. He was awarded a Rockefeller bursary and returned to Nigeria to study African drama. On his return to Nigeria, he taught drama and literature at various universities in Ibadan, Lagos, and Ife, where, since 1975, he has been a professor of comparative literature. In 1960, he founded the theatre group, “The 1960 Masks” and in 1964, the “Orisun Theatre Company”, in which he has produced his own plays and taken part as an actor. He has periodically been a visiting professor at the universities of Cambridge, Sheffield, and Yale. 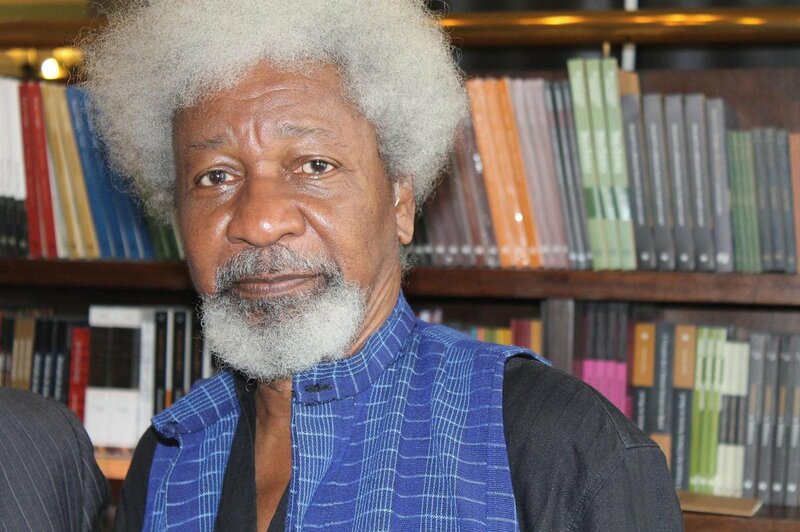 Prof. Wole Soyinka has published hundreds of works. He writes in English and his literary language is marked by great scope and richness of words. Soyinka’s first important play was titled, A Dance of the Forests. It satirized the Nigerian political elite. Prof. Wole Soyinka is said to be heavily influenced by the Irish writer, J.M. Synge, among many others. He links up with the traditional popular African theatre with its combination of dance, music, and acting. He bases his writing on the mythology of his own tribe-the Yoruba-with Ogun, the god of iron and war, at the center. He wrote his first plays during his time in London, The Swamp Dwellers and The Lion and the Jewel (a light comedy), which were performed in Ibadan. His later, satirical comedies are The Trial of Brother Jero with its sequel, Jero’s Metamorphosis, A Dance of the Forests among many others. His serious philosophic plays are The Strong Breed, The Road and Death and the King’s Horseman. In The Bacchae of Euripid, he has rewritten the Bacchae for the African stage and in Opera Wonyosi, bases himself on John Gay’s Beggar’s Opera and Brecht’s The Threepenny Opera. Soyinka’s latest dramatic works are A Play of Giants and Requiem for a Futurologist. Soyinka’s poems, which show a close connection to his plays include Idanre, Poems from Prison, A Shuttle in the Crypt, the long poem Ogun Abibiman, Mandela’s Earth and Other Poems. Soyinka has written two novels, The Interpreters and Season of Anomy. Purely autobiographical are The Man Died: Prison Notes and the account of his childhood, Aké, in which a parents’ warmth and interest in their son is prominent. Prof Wole Soyinka was awarded the Nobel Prize for Literature in 1986. His Nobel acceptance speech, “This Past Must Address Its Present”, was devoted to South African freedom-fighter Nelson Mandela. Soyinka’s speech was an outspoken criticism of apartheid and the politics of racial segregation imposed on the majority by the Nationalist South African government. During the civil war in Nigeria, Soyinka appealed in an article for a cease-fire. For this, he was arrested, accused of conspiring with the Biafran rebels, and was held as a political prisoner for 22 months. Now considered Nigeria’s foremost man of letters, Wole Soyinka is still politically active and spent the 2015 election day in Africa’s biggest democracy working the phones to monitor reports of voting irregularities, technical issues, and violence. After the election on March 28, 2015, he said that Nigerians must show a Nelson Mandela–like ability to forgive president-elect Muhammadu Buhari’s past as an iron-fisted military ruler. Wole Soyinka first got married in 1958 to the late British multicultural educationist, “Barbara Dixon.” They had one son “Olaokun Soyinka” together. After Barbara’s death, Wole remarried in 1963 to Nigerian librarian, Olaide Idowu and the third, in the year 1989 to Folake Doherty. See Also: Denrele Edun Biography, Mother, Wife, Sister, Is He Gay? In total Wole Soyinka has five children consisting of three daughters and two sons; the daughters are; Peyibomi Soyinka Airewele, Moremi Soyinka Onijala, Iyatade Apampa, and sons; Olaokun Soyinka, Makin Soyinka. Of all places one will think a man of Professor Wole Soyinka’s status to own a home, one built in the middle of a forest is not always a likely guess. 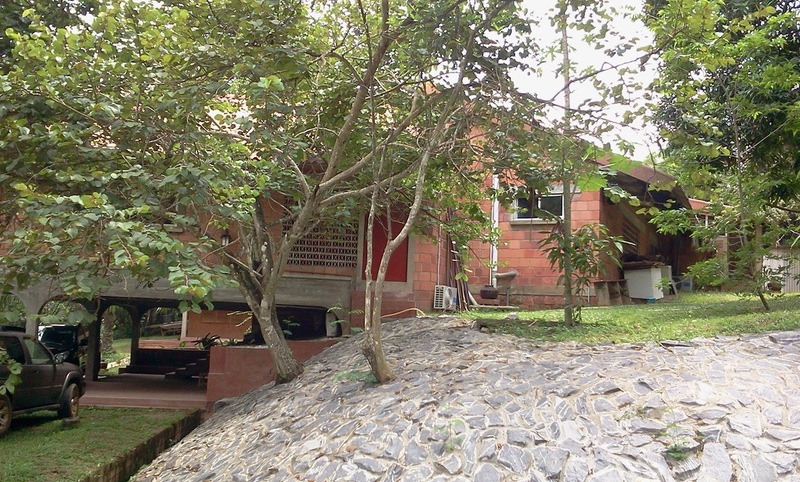 His home is located in a thick forest in Abeokuta, Ogun State. However, the home is an ancient architectural masterpiece to behold. The main building is a red-brick house, which nestles atop a hill with a tiny river flowing below and giant trees towering above. The building also has an amphitheater for drama rehearsals and performances, shooting range that provides a bird’s eye view of a section of the path that leads to the house, hidden reading rooms (there are reading spaces everywhere) and a special prayer room for Christians, Muslims and traditionalists – To Soyinka, there is room for all religions to co-exist.